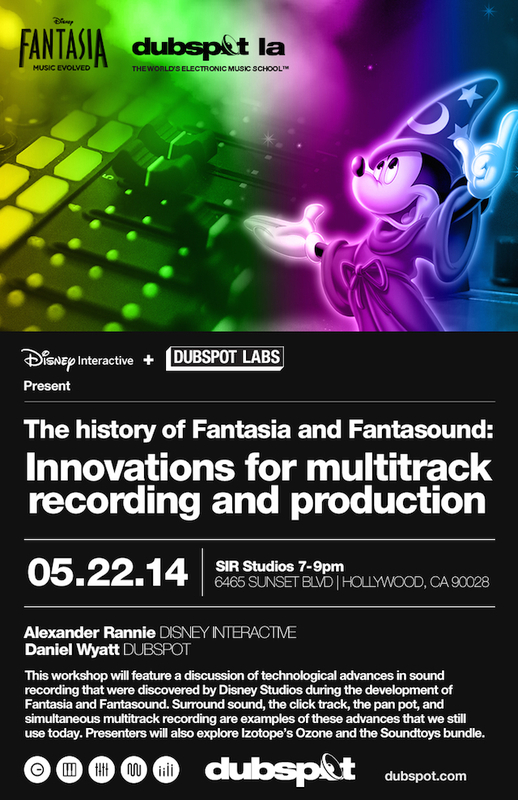 Join Dubspot LA and Disney Interactive on Thursday, May 22nd for Technical Innovations for Multitrack Recording and Production, a discussion on Disney’s past innovations in audio engineering and future music technology with Dubspot’s Daniel Wyatt and Disney Interactive’s Alexander Rannie. 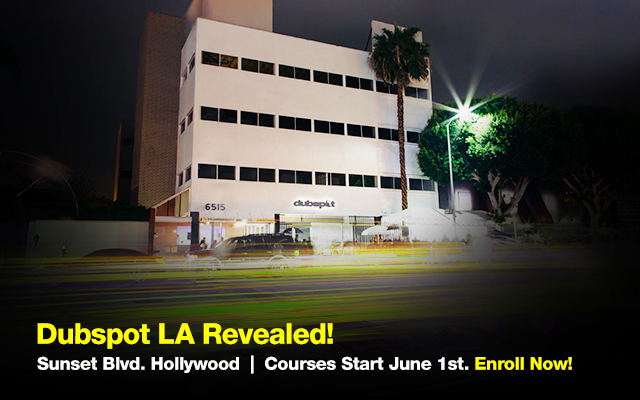 Attend this workshop and get a chance to win a free Mixing and Mastering Program at our new school in Los Angeles, and free plug-ins from iZotope and Sound Toys! Congratulations to Yoshi Mora! 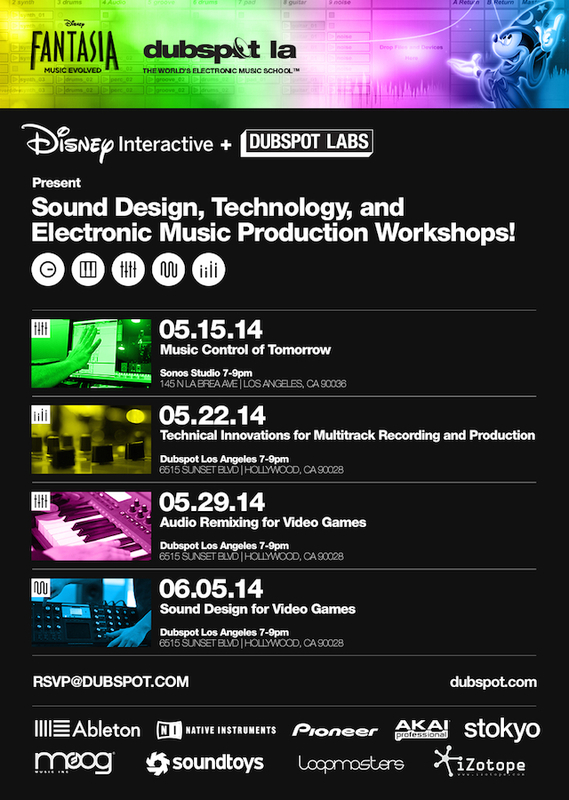 You’ve won a Dubspot Los Angeles Ableton Live Producer Program and a copy of Ableton Live Suite at our first Dubspot LA and Disney Interactive workshop. Alexander Rannie is a composer and historian who’s worked for Walt Disney Feature Animation (where he contributed to the restoration ofFantasia and its Fantasound soundtrack), written original music for everything from silent Walt Disney cartoons to “The Ren & Stimpy Show,” and presented and published research on the music for Snow White and the Seven Dwarfs, 20,000 Leagues Under the Sea, Mary Poppins, Great Moments With Mr. Lincoln, it’s a small world, and, of course, Fantasia. His interactive displays celebrating music and animation can be seen at the Walt Disney Family Museum in San Francisco. Alex is also a harpist, who frequently collaborates with performance artist Ann Magnuson, and since 2001 he can be found every December seated behind his harp at Disneyland’s Candlelight Ceremony on the steps of the Main Street train station. Giveaways include: Dubspot Los Angeles Maschine Program and a Native Instruments Maschine Studio! 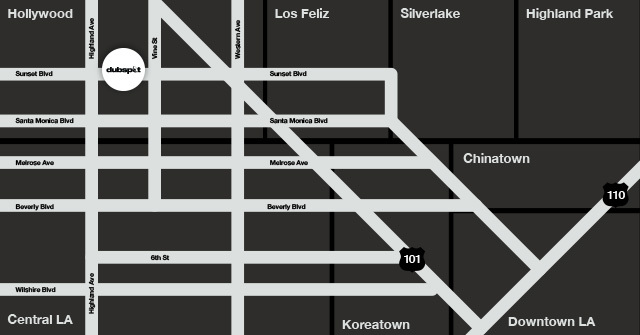 In this workshop, learn firsthand remix advice from Dubspot Los Angeles Instructors. Disney Interactive will also show attendees the process of incorporating remixed content into a video game. Also learn advice from industry insiders how to break into the field of music production for video games. This will be an informative and valuable workshop for new music producers and veterans alike!